1. When alumna Deborah Bryant was named Miss America 1966, the college celebrated with a "Miss America Day" on campus that included a press conference, luncheon, tea, informal student assembly and an evening banquet. 2. 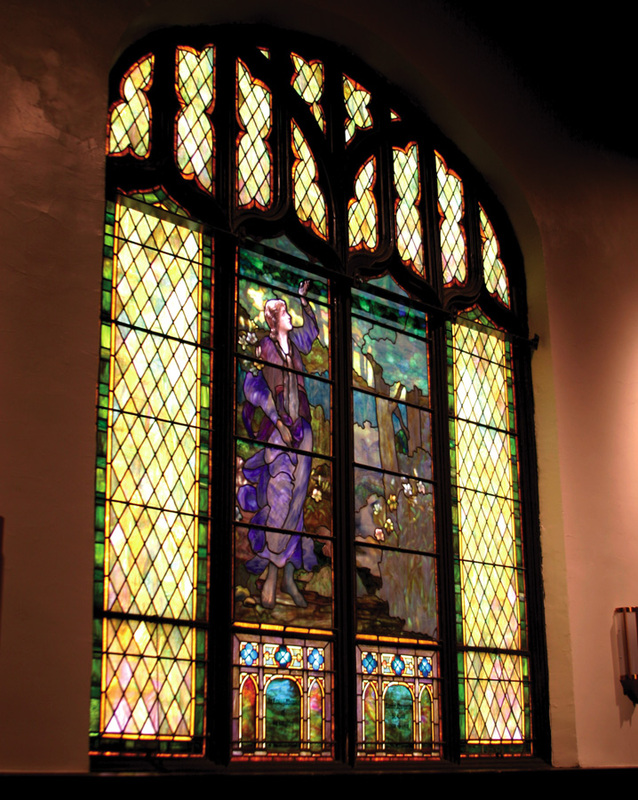 The stained-glass window in the Dorsey Hall Chapel is thought to be by Tiffany. President St. Clair Moss donated it to the college in memory of her daughter, Annilee, who died at age 12 from inflammatory rheumatism. 3. Kirk Williams was the first male student of Columbia College in the fall of 1969. 4. In 1973, the college conferred its first baccalaureate degree since 1910. 5. In 1964, the college completed construction of a new 22,000 square-foot dining hall. The building was named for William H. Dulany, who served on the board of trustees for nearly 30 years and left a bequest payable to the college after his death. 6. In March 1975, the Evening Campus began.